Fire Emblem Heroes launched in various territories today. To celebrate, Nintendo has kicked off a new collaboration in Miitomo. Miitomo users can participate in a Lucina’s mask retweet event and nab items in the Miitomo Shop as well as through Miitomo Drop. Additionally, a special sale is taking place on Miitomo coins. Head past the break for the full details on the collaboration event. 1) Get Lucina’s mask in the Retweet event! All Miitomo™ users will receive Lucina’s mask from the Fire Emblem™ Awakening game for their Mii™ character to wear if we reach the target combined number of Retweets from Nintendo’s official Twitter accounts that include the hashtag #Miitomo_FE_RT. More than 10,000 Retweets = Lucina’s mask! Do not include a comment in your Retweet, otherwise it will not be counted toward the combined total. Thanks! 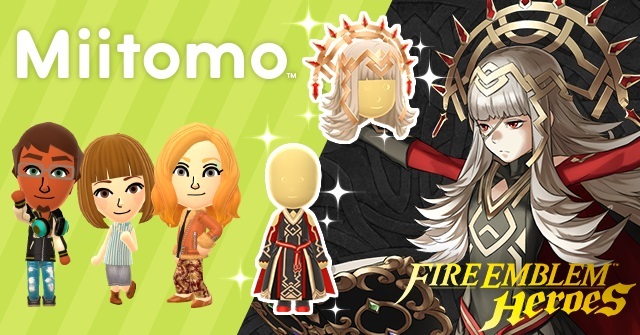 2) Fire Emblem character-themed items in the Miitomo Shop! Items from classic and new Fire Emblem games are being added to the shop. Use this chance to get them all! 3) Items from the newly released Fire Emblem Heroes game available in Miitomo Drop! 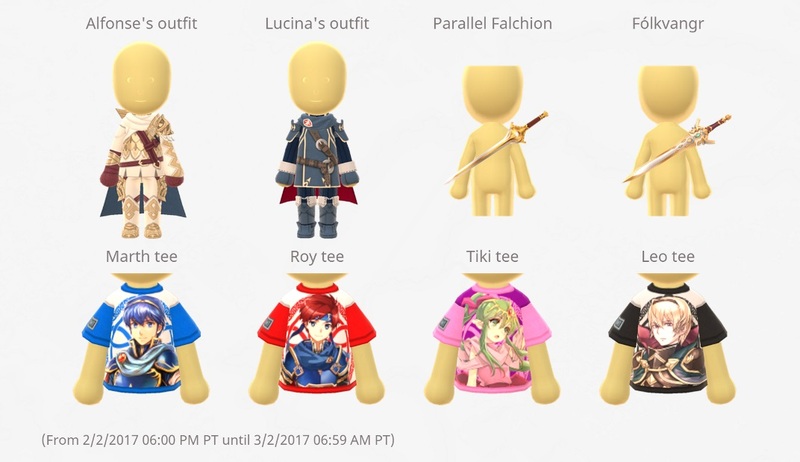 Items that’ll let you look like Veronica from Fire Emblem Heroes, as well as logo tees, will be available! [One time only!] During this event, you can take advantage of a special one-time offer on Miitomo coins. For a limited time, you will receive 6,500 coins for the price of 3,150!